In our ongoing effort to publicize job opportunities for the undead, we bring you this: the Zombie Burlesque Show at Planet Hollywood in Las Vegas. 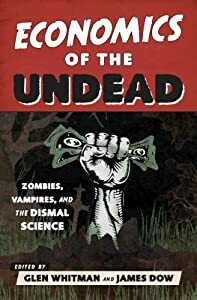 For more on zombies and vampires in the job market, see Deyo and Mitchell’s “Trading with the Undead: A Study in Specialization and Comparative Advantage,” Chapter 11 in Economics of the Undead. This entry was posted on Tuesday, September 23rd, 2014 at 10:58 am	and posted in Uncategorized. You can follow any responses to this entry through the RSS 2.0 feed.